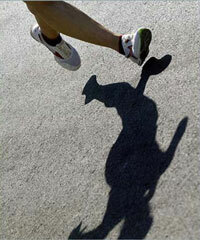 I have decided to start the Couch to 5k Running training (otherwise known as C25K) once the weather warms up. In fairness, I did attempt this last year, but didn’t make it through to the end. When I go out for walks, I already do some running, so I think it will be easier now. Of course, it won’t be “easy,” but easier. I want to push myself to do it, as my ultimate goal is to run a full 5k later this year before I move back up to Asheville. As for the date I will begin the training, I am going to guess in about a week and a half, since the cold weather appears to be sticking around for at least another week here in the normally sunny Central Florida. I will update my blog when I start and throughout the training.